It is expected of a managed service provider to be proactive in protecting a customer from security threats. Indeed, security solutions are at times outsourced to these MSPs. However, the increasing sophistication of cybercriminals make managed service provider a veritable target victim. This is backed by a research from London-based consulting firm PwC. And this fact isn’t surprising. Hackers are smart enough to identify MSPs as basketful of eggs. They know that compromising the security of MSPs can give them free access to a wide network of customer-organizations. 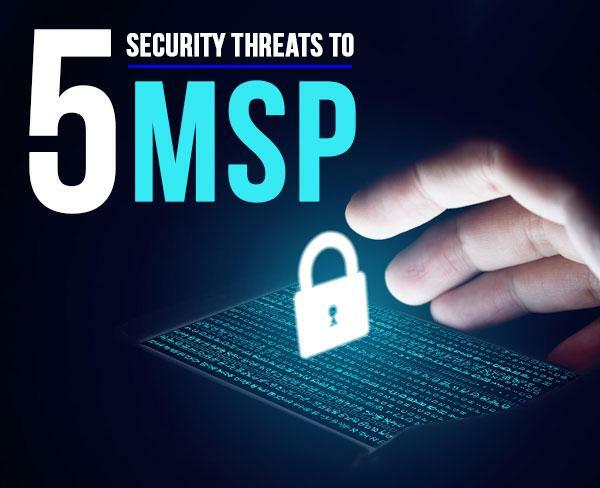 Attacking MSPs give them optimal efficiency as well as effectiveness. Sure you want to protect your customers, and maintain their high confidence in your integrity. To keep hackers at bay, take note of these common security threats to managed service providers. “Bring your own device” BYOD is a growing trend for office work these days. While it potentially improves productivity and provides convenience to employees, BYOD can bring an immense problem for MSPs. Just imagine how many end-point devices–most of which aren’t secured enough–can hackers send their malware-infected email to get through your network system. The Fix: leverage NOC support to secure all additional entry points with the implementation of additional security layers. 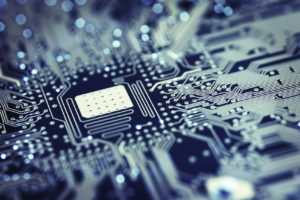 It’s best idea to have an advanced network access control with granular access policies to filter all devices that attempt to connect to your network. You’d be surprised to know that internal threats account for 70% of data breaches among SMBs. Your top two suspects are either disgruntled employee or he who’s not educated about cybersecurity best practices. While unhealthy to be suspicious of your staffs, still there exists a threat that rogue employees might sabotage the security of your network. On the other hand, employees guilty of bad password hygiene, opening spam messages and using just any personal device to your network might create a huge security risk. The Fix: have all your employees educated about cybersecurity best practices e.g using password manager instead of post-it, identifying legitimate from spammy emails etc. Another would be a clean procedure in employee offboarding e.g changing passwords and disabling accounts. Ransomware is a sophisticated cyber attack that does not only compromise your internal data security including confidential access to customer’s data, ransomware also extorts ransom money from victims in exchange of the locked down system. According to Kaspersky, about 40% of victims pay to regain access to their system. What’s alarming is that ransomware attack is considerably cheap to spread with lucrative returns in just on paying-victim. This is the reason why cybercriminals are enthusiastic with this method of attack. The Fix: since ransomware is carried by traditional vectors like emails and spam ads, a basic preventive practice is to educated all your staff about the threats of ransomware, how it operates and best practices in cyberattack prevention. For added protection, make sure you have up-to-date and robust security system that includes anti-virus software and firewalls in place. Phishing is a hacker’s method of “fishing” your login credentials and personal or financial information by posing as a legitimate entity in an electronic communication. For instance, a victim may receive an email from a hacker disguising as the IRS asking to update the victim’s SSN and financial information. For Managed Service Providers, hackers may send emails posing as a veritable customer inquiring about your services and solutions. But once clicked, the email would instantly download a malicious file–the next thing you know your network is under cyberattack. The Fix: Phishing emails look legitimate, as such it takes vigilance and awareness to identify them. For extra protection, make sure your spam filters and antivirus are up to date. DDos or distributed denial of service attack is one of the most effective way for hackers to turn down your system. DDoS is essentially flooding a targeted system with overwhelming traffic to that point that it can no longer accommodate the traffic. The result of which is costly downtime. As every minute counts for every business, no one can afford a system downtime. On top of downtime cost, a tarnished brand also costs huge amount in the long run. Darrell Smith is a data / cybersecurity news junkie. He spends most of his time surfing the web for the latest data and network operations center trends. He also shares his recent findings through his articles and other blog posts.